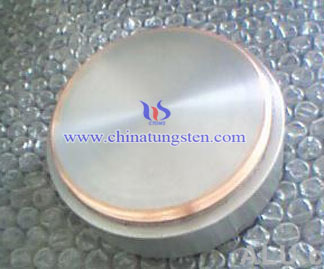 Tungsten copper antimony bismuth radium alloy main composite is 66.25% tungsten, 32.25%copper, 0.065% antimony, 1.339% bismuth and 0.096% radium. Except tungsten, the other elements with low melting point, Cu(1084.62℃), Sb(630.63℃), Bi(271.40℃) and Ra(700℃). Radium is shiny silver-white metal, melting point is 700℃, boiling point is 0℃, and density is about 5g /cm3. Chemical properties of radium are lively, similar with barium. Radium metal is exposed to air, it can respond quickly to produce oxides and nitrides; capable of reacting with water to form radium hydroxide; radium salt freshly prepared white upon standing due to irradiation and discoloration. According to Ba Ra and chemical properties similar to speculate, Cu-Ra and the Cu-Ba vomiting similar, therefore, Cu alloy may also be formed with Ra. Based on the above analysis, copper, antimony, bismuth and radium can be prepared using the method of melting alloys. You can then use Infiltration, tungsten, copper, antimony, bismuth alloys prepared radium. However, considering the radioactive Ra, and its low melting point and boiling point, during the preparation of the alloy Ra easily volatilized and released into the atmosphere, poor infiltration process can be realized. Using conventional powder metallurgy process, the density and performance of products may be lower, so the mechanical alloying method (high energy ball milling) powder activation treatment, so that is more conducive to powder sintering, to obtain a sample of high density. In addition, the amount of Ra few (only 0.096%), large atomic weight (226), and chemically active, so we can consider it as an impurity element, replaced by Ra Ra metal oxide added to the alloy. Thus, the process operation can be carried out in the atmosphere, to avoid problems Ra metal oxidation. In summary, tungsten, copper, antimony, bismuth alloy can be activated laser sintering process of tungsten copper composites were prepared. 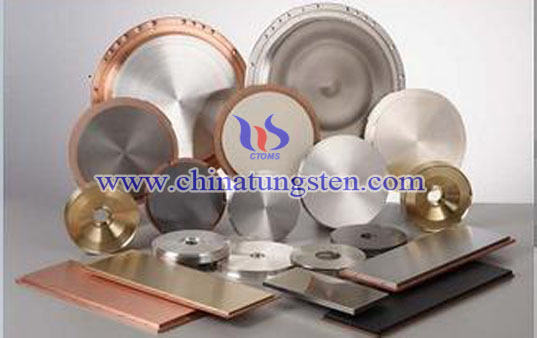 At the same time, in the form of oxides of copper, antimony, bismuth added tungsten alloy radium, radium oxidation problem can be avoided, in favor of mass production of tungsten copper alloy of antimony, bismuth radium.